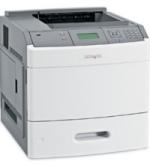 We offer new and remanufactured printers, tested to deliver the output needed for pharmacy label applications. 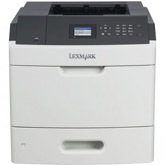 The Lexmark MS710 and MS711 are the most current model printers for special media. Our FRN, Factory ReNewed, printers have been rebuilt with all OEM maintenance kits and offer the best pricing to expand your fleet. These FRN models are tested to meet the demands when printing on dual web labels, integrated labels, polyester labels and vinyl labels within Lexmark's specifications. Refer to the Card Stock & Label Guide for more information. We service this model, click here for details. For further assistance call our technical support line at 814-898-0704 or fax to 814-899-1384.